I also had a fairly productive weekend in the yarn dyeing department, since I was running out of the yellows/oranges/chocolates I’ve been using for a shaped garter shawl for myself. 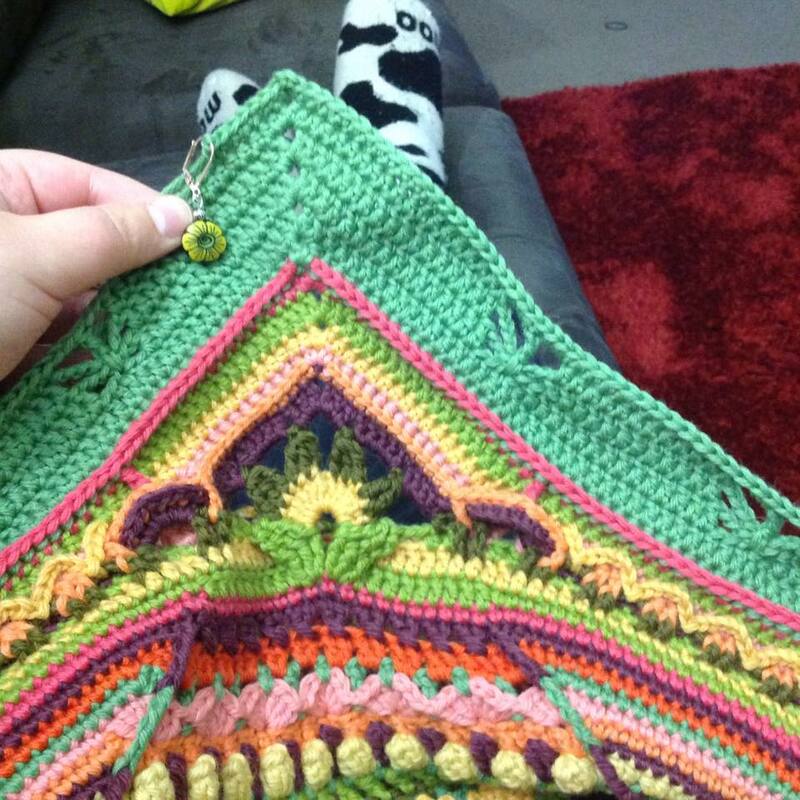 The pattern (Celadon by Ambah O’Brien) is another simple relaxing knit, so it’s coming along rather quickly. As if I needed ANOTHER hobby. I don’t have enough time for my existing hobbies as it is. However, over the weekend I decided to have a go at dyeing my own yarn. 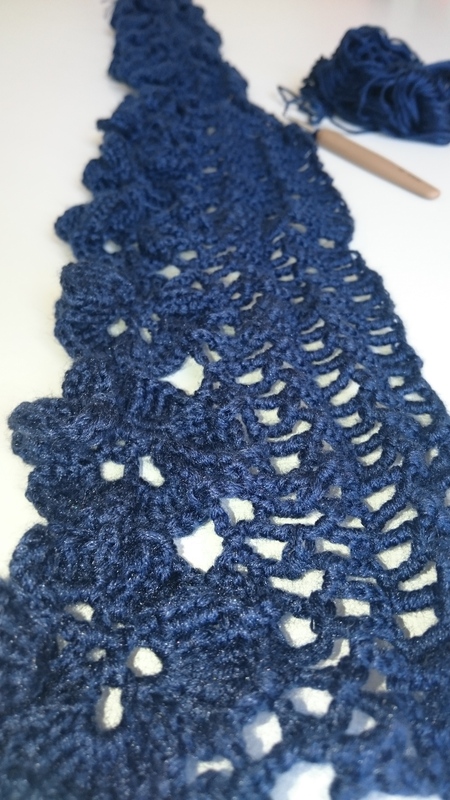 I really love the look of the speckled yarn that is the rage at the moment, but it’s so specialised, it’s very expensive. I’m using cheap superwash merino to practice on, and it seems to be holding the colour very well. I’m also just using food dye (although I did buy a packed of black dye powder today for my next attempt) and vinegar, as a cheaper option for now. 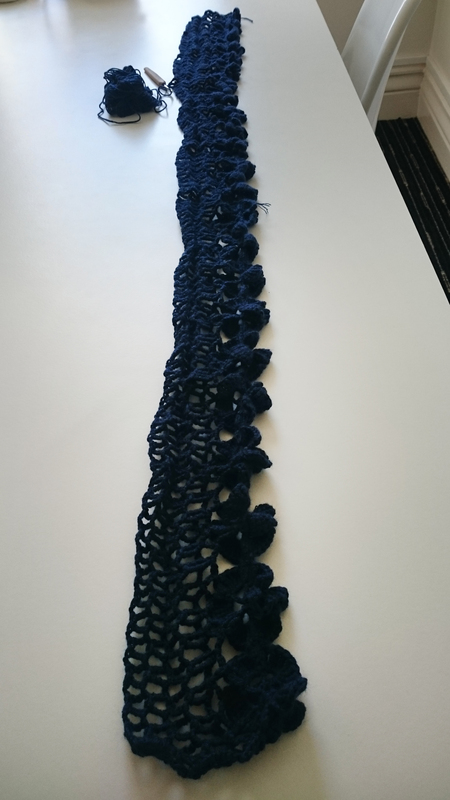 I began with tying the yarn into a skein (they came as balls), and soaking it in a mixture of luke warm water and vinegar (a couple of ‘glugs’, I didn’t measure the exact amount). I then put the tray onto the stove and heated the yarn and water/vinegar mix to simmer point. 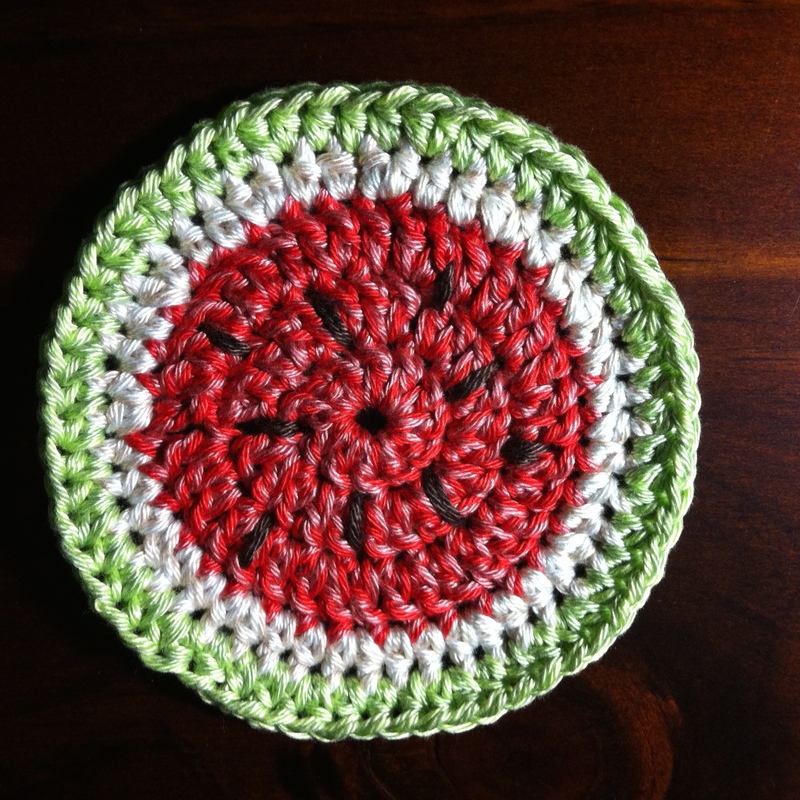 Taking the tray back to the sink I went about dotting the colours onto the yarn. Some of the colour mixed with the water, and some of the colour landed on yarn that was sticking out of the water and concentrated there as speckles. I used a toothbrush to get the smaller speckles, with a mixed result. After I was happy with the colour placement I left the yarn/dye/water/vinegar to cool back to room temperature, before rinsing in the sink with another vinegar mix, and finally a bit of hair conditioner to keep the yarn soft and get rid of the vinegar smell. It took two days to completely dry on my clothes rack, and I plan to re-ball the yarn tonight ready for use. Not so much of an attack FROM a sock; rather an attack ON a sock. 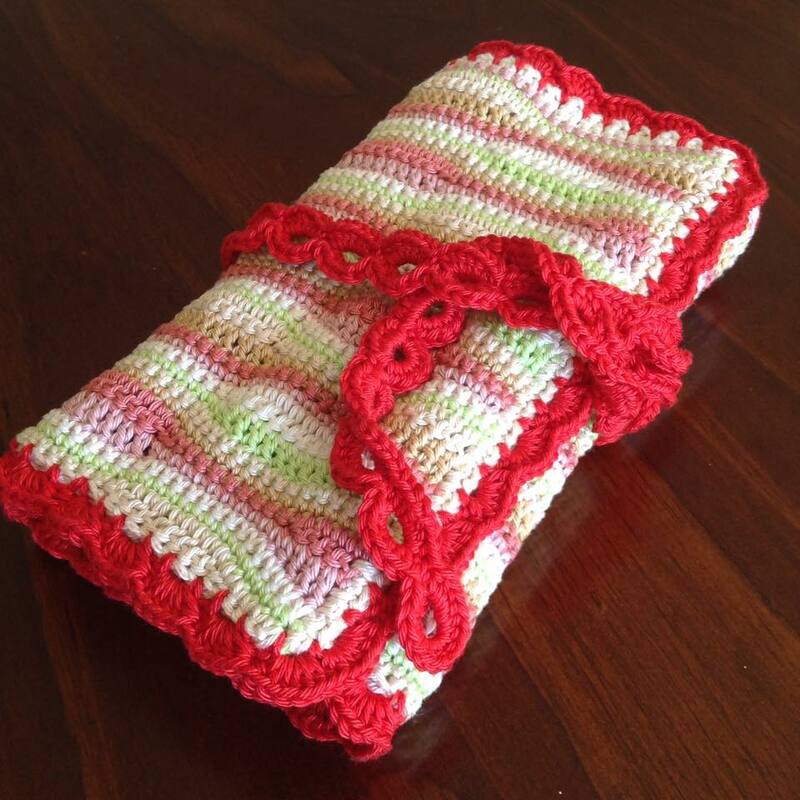 I’ve been knitting like a crazy person this week (I’m now addicted. Dammit) and during my work lunch hours I’ve been knitting my second stripey sock. It’s thoroughly enjoyable, despite the weird looks I’ve been getting when people come up the stairs and see me chilling out on my office couch knitting away. My fallout wrap has been going well too. I work on it in the evenings when I’m not actually playing Fallout. I’ve been finding that I need my head screwed on right in order to effectively kill raiders and ghouls in-game, and after coming home from a long day at work it’s tough to get into that head space. 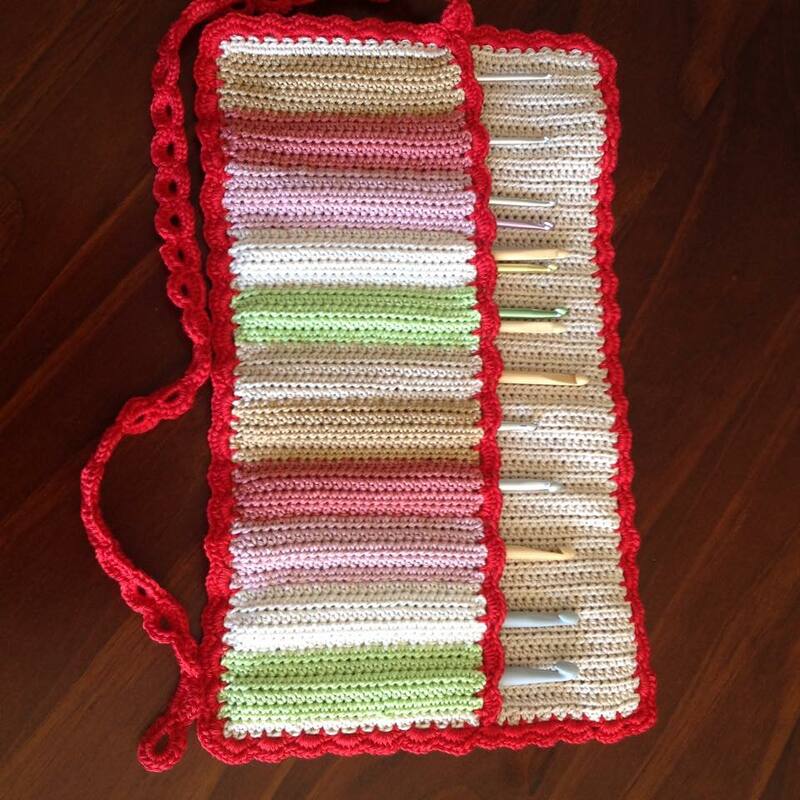 So the knitting has come out, and then the weekends will be a complete and utter Fallout-fest! I’ve gotten back into my Sophie (Sophie’s Universe CAL 2015) and have been working on it as much as I could over the weekend. I’m only one part behind now, very exciting! During the last couple of parts I had begun to think that my colours were way too out there, and that I either had too many or it was just too busy. 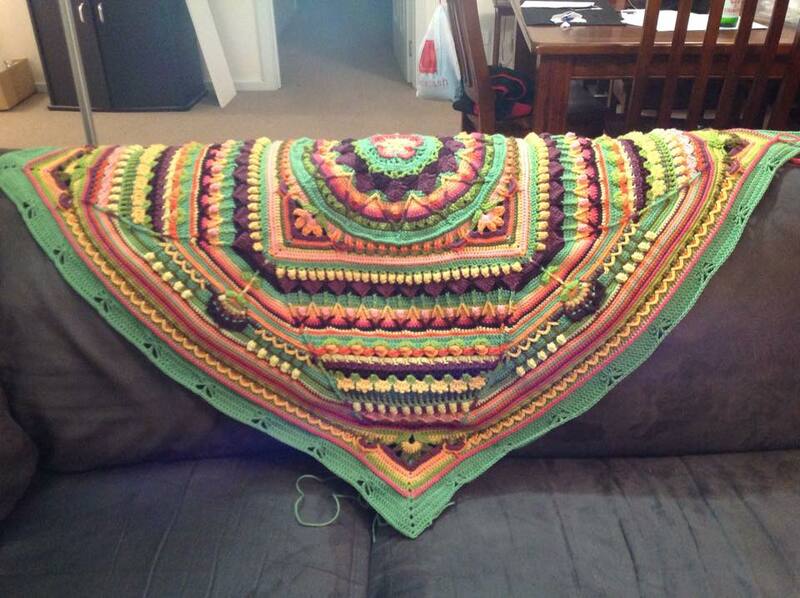 However now that it has the green butterfly border to it, it has calmed right down, and that large amount of green links the rest of the blanket together – in my opinion anyway 🙂 Can’t wait to see the finished product. 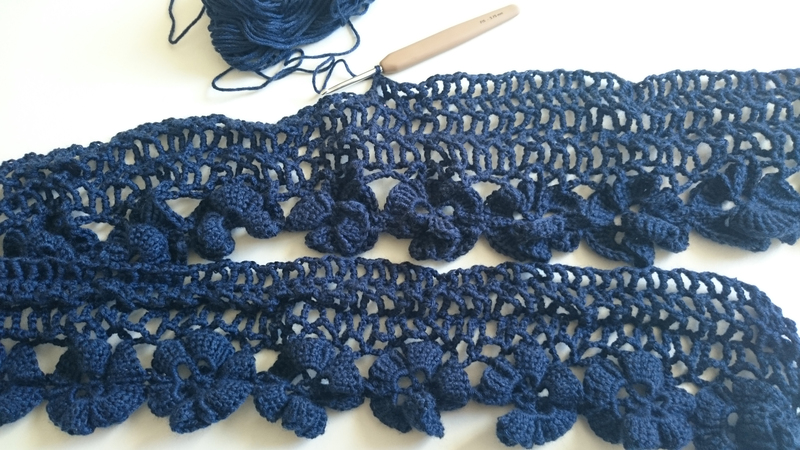 If I did another Sophie, I would probably do it all in one varigated yarn – those Sophie’s look really interesting and I’d like to do one at some point for the bed. 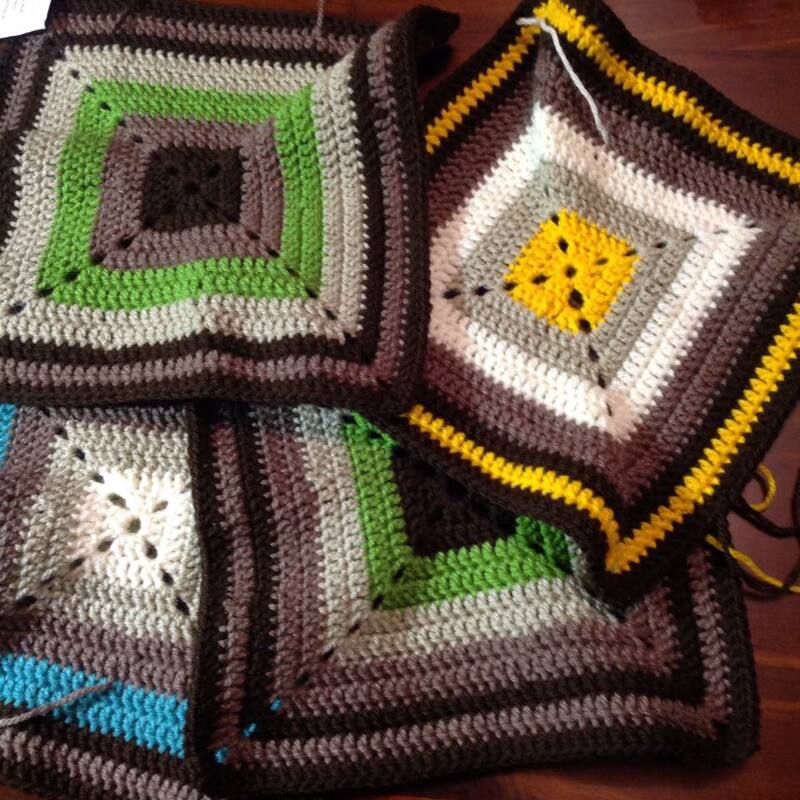 Firstly, I thought I’d share my granny square progress with you. 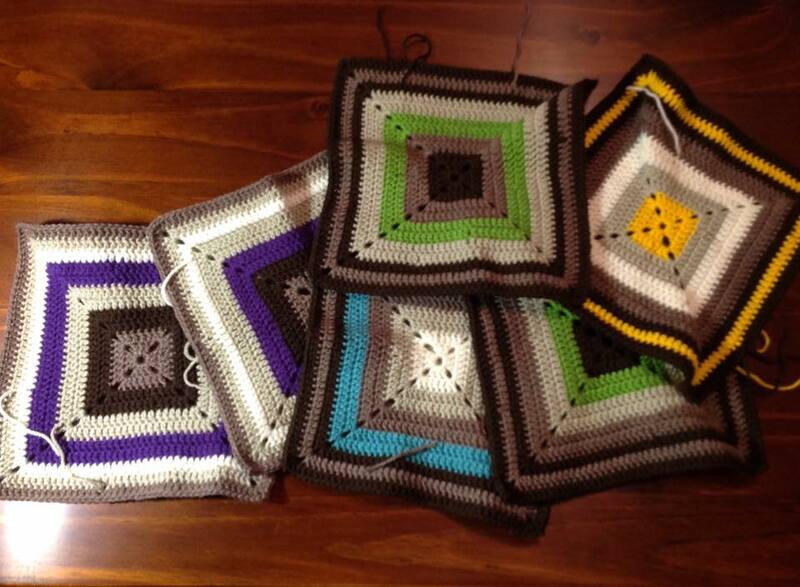 I now have six plain squares finished in this particular colour scheme (which I can’t seem to get enough of) and I think they are looking great together! 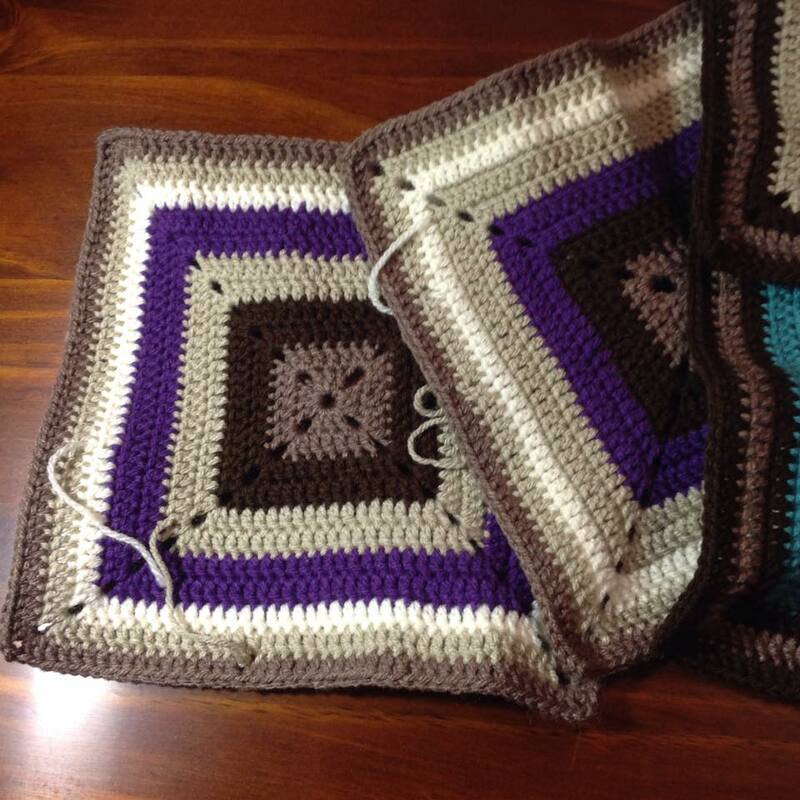 While I’m having lots of fun crocheting up these squares, it’s only a few weeks away until Christmas and I have decided to crochet a few sets of coasters for gifts. 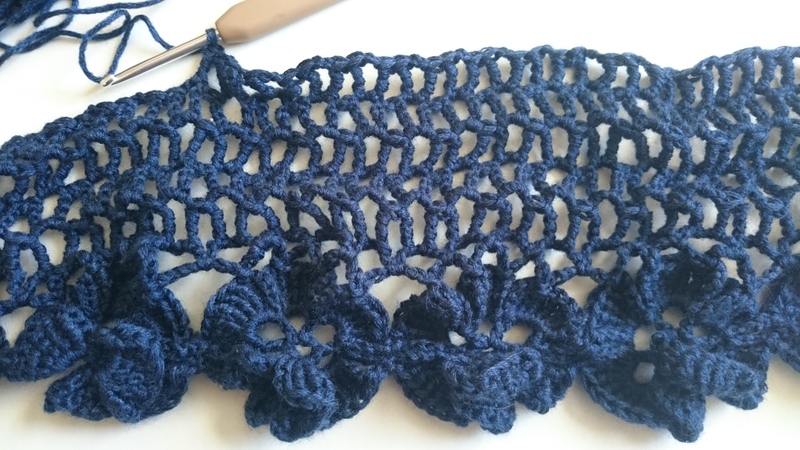 I also have the skull shawl to finish off too, although I’m not entirely sure that will get done in time to be posted for Christmas. My step-daughter will be flying into Hobart from Darwin in less than two weeks, and I can’t wait to see her! My partner and I have made up her bedroom, however at the moment it’s looking a bit plain and boring and I would love to make sure it’s got enough ‘wow’ factor to impress a six-year-old! 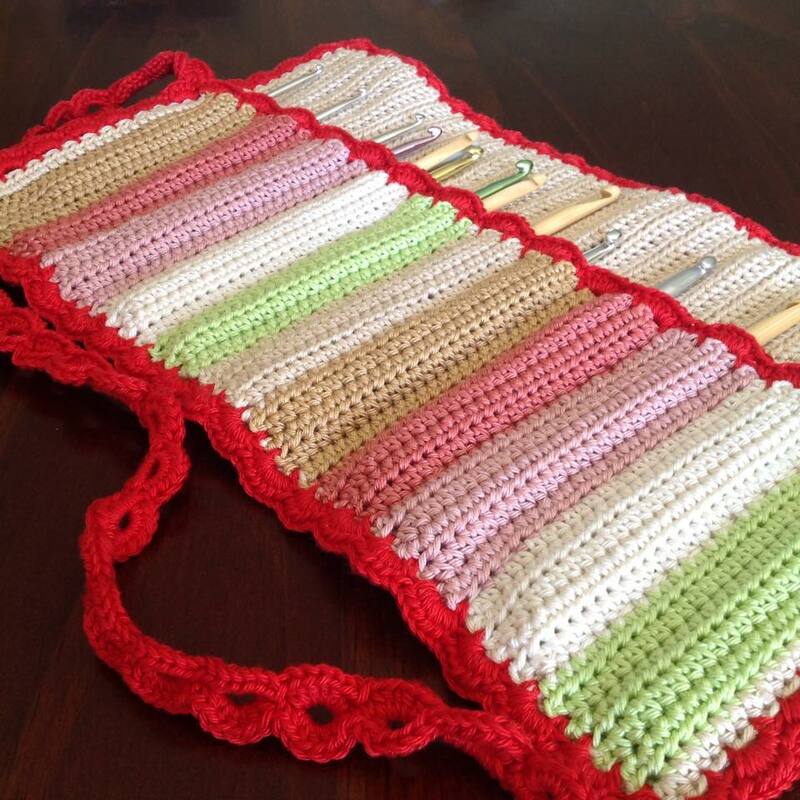 I’m thinking of crocheting the letters of her name in her favourite colours and putting them up on one of the walls; I think she would really get a kick out of that. Does anyone else have any cool suggestions on how to brighten up a little girl’s bedroom? 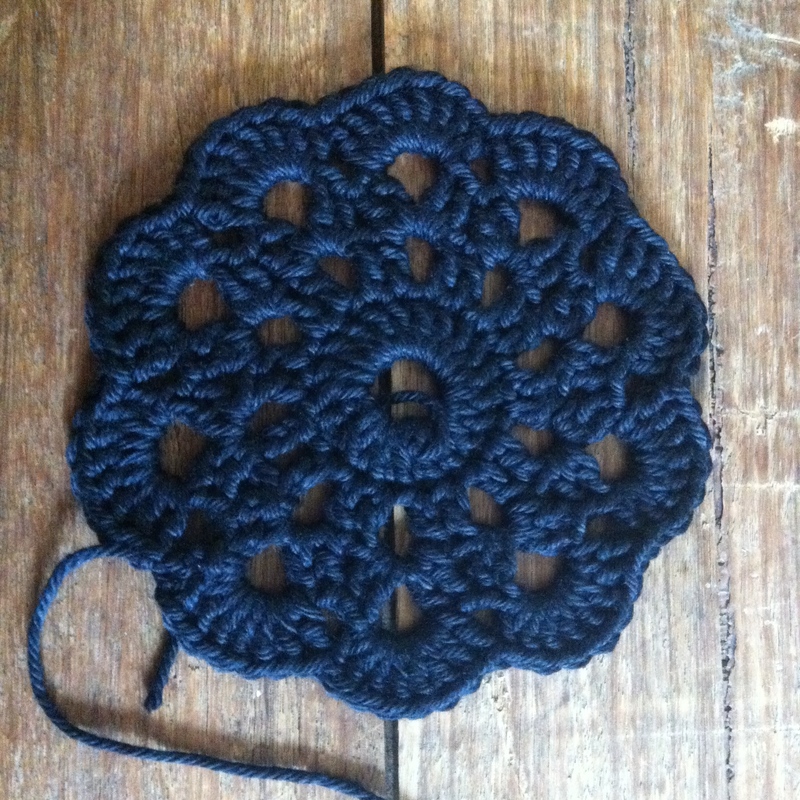 During my lunch hour at work today, I decided to find out how long it would take me to crochet up a coaster. The answer? 35 minutes! 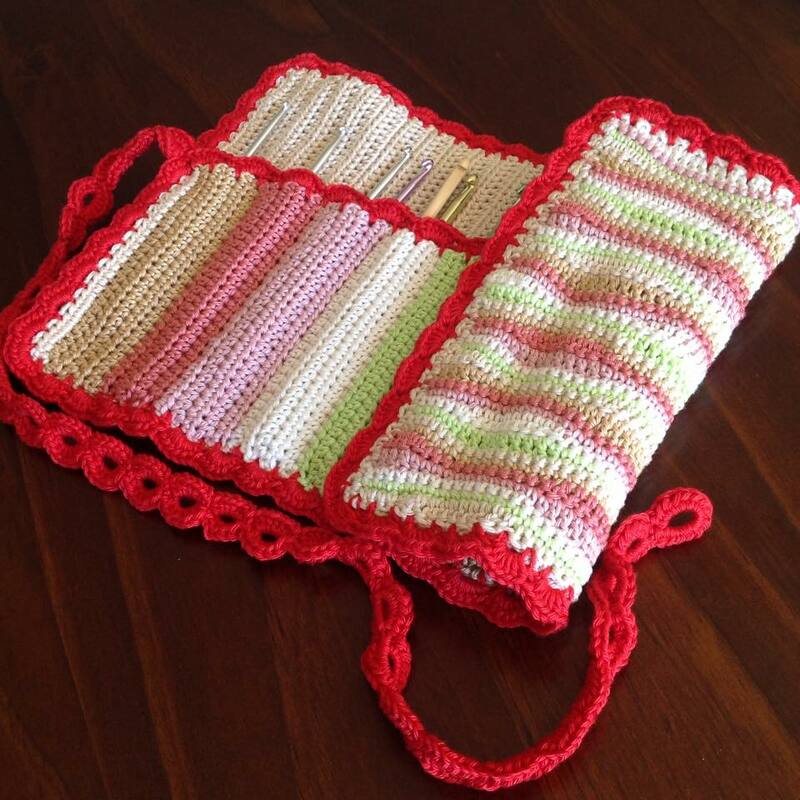 I will be able to start and finish a coaster on the bus to work – high five for multitasking! 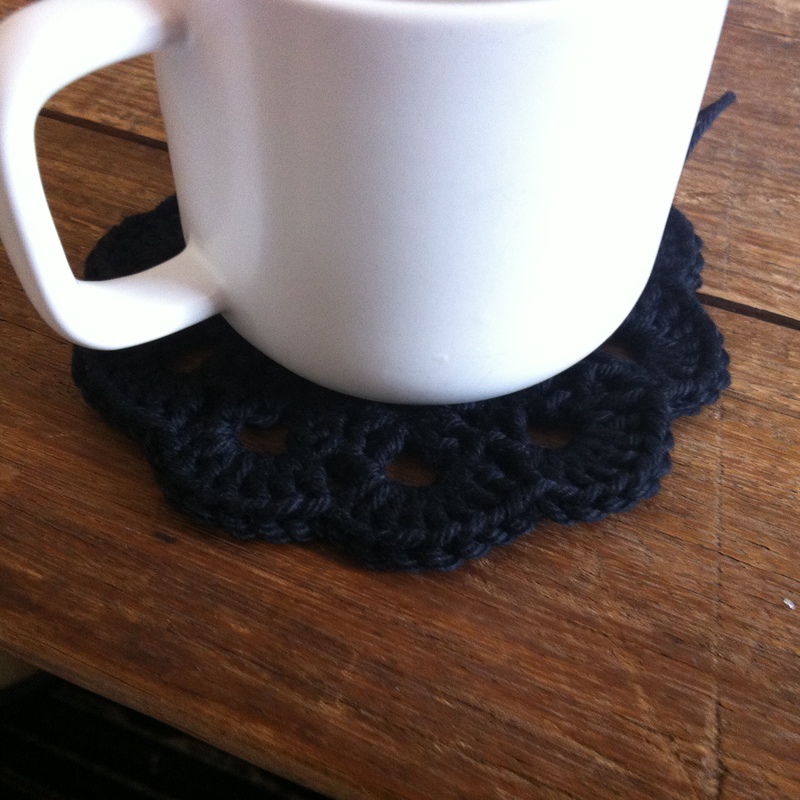 This coaster is made from a black 8 ply cotton blend using a 4mm hook.